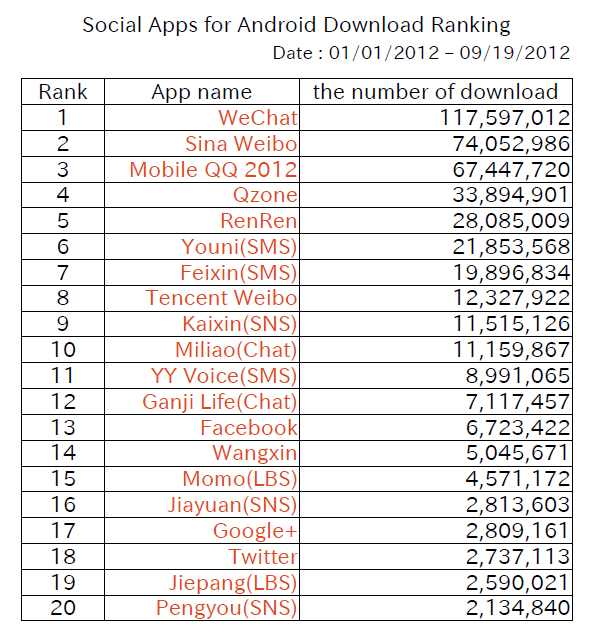 Eguan: Social Media Apps for Android Download Ranking in China. WeChat already exceeded 100 million times download. As I explained before, WeChat user exceed 200 million people in the end of September, so I think this is relevant number. 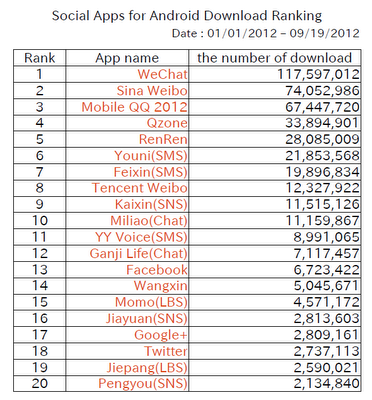 In this data, the second position is Sina Weibo. Sina Weibo totally has 368 million users, and 69% users of among them access it by mobile phone, so this is also relevant number. 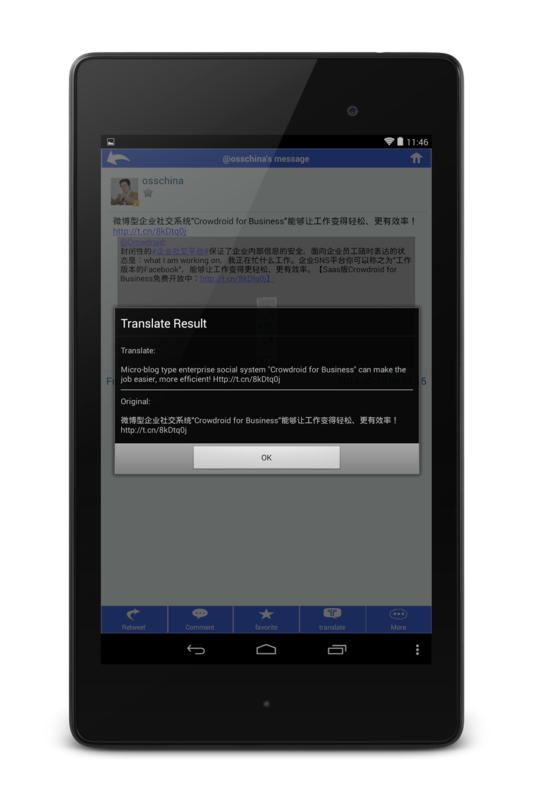 The service of third and fourth position is also provided by Tencent. As you know, Tencent have the strength in Chinese social media market.